In the past decade, the concept that everyone of us not only has a physical and mental body but also an energetic one has become quite an addition to the way we think about our overall health. According to popular movies such as What the Bleep Do We Know? and books like this past year’s Divine Matrix we have come to learn that this energetic body needs analysis, prevention, maintenance and fine-tuning on a molecular level just as much as our flesh needs exercise and proper diet to keep its pliancy and tone. 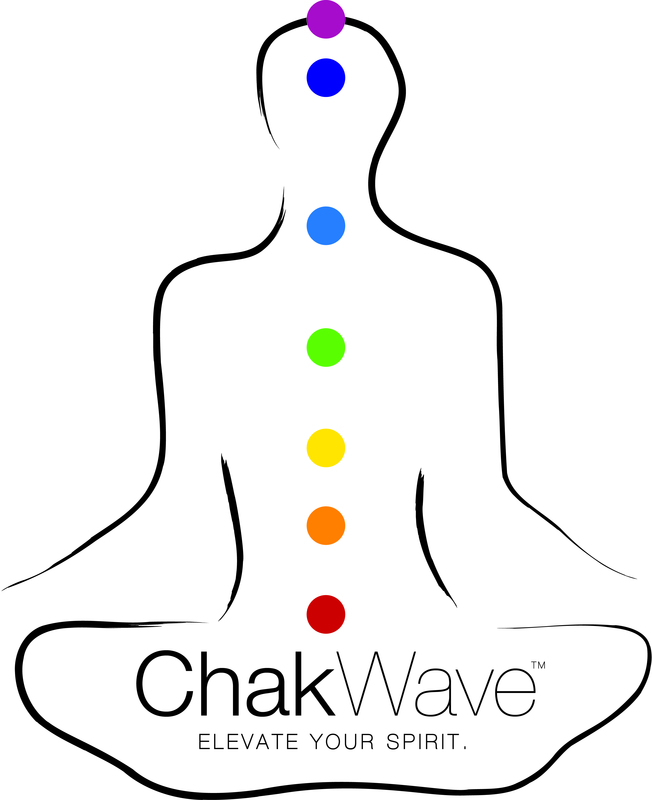 One of the diagnostic sources for this energetic body is our chakra system. Found in tantric and yogic traditions of Hinduism and Buddhism, chakras mean literally “wheels” or “turning” and are believed to be wheel-like energetic vortices that exist in the surface of our living beings. These force centers of energy form a line from groin to crown and carry different colors that denote certain stages in our development and correlate to important states or traits of our overall being. After hearing about chakras for over a decade in her yoga classes, and feeling the benefits of paying heed to their own electromagnetic properties and consequences within her own body, Jacquelyn Richey decided to explore ways to further feed and nourish our individual, invisible yet potent energy sources. Years into her yoga practice during an intense three hour kundalini class, she viscerally experienced the powerful energy vibrating inside of her. After this life changing “a-ha” moment she began her journey down a rabbit hole of discovery that would come to encompass research and work with countless Ayurvedic doctors, herbalists, healers, shamans, chefs and chakra masters. This path eventually led her to become the founder of her own company Chakwave where she is the chief alchemist and creator of a distinct line of chakra-correlating organic juices. 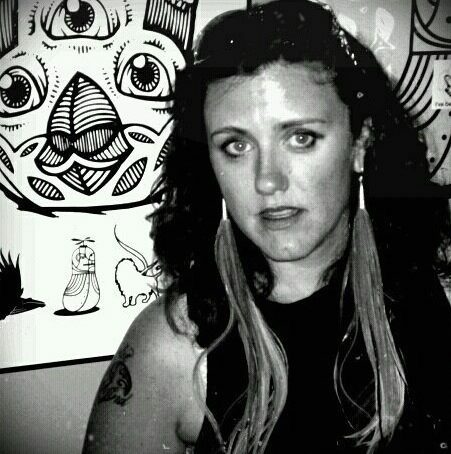 Like Demeter personified, the Venice Beach-based Richey started small, delivering a week’s worth of juice here and there from the basket of her bicycle and sharing samples of her tonics with visitors to green food trucks and other organic-based foodie forums. 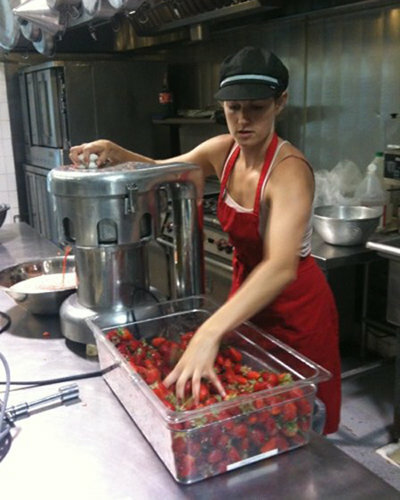 Recently, production demand has increased and just last week thousands of her juices flooded stores around Los Angeles. We sat down with her to discuss her magical blends and the philosophies behind them and all she does. What first turned you on to the chakra system and explain? I intellectually knew the chakra concept from yoga classes. Years into my practice during an intense three hour Kundalini class I viscerally experienced the powerful energy vibrating inside of and around me. It was a life changing “aha moment” that lead me deep down the energetic rabbit hole of discovery. 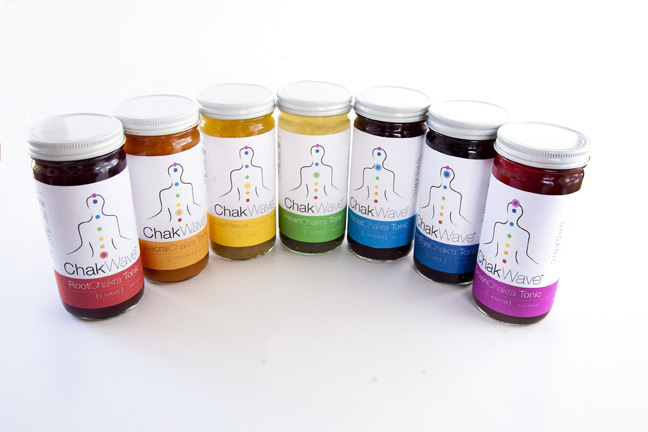 Countless Ayurvedic doctors, herbalists, healers, shamans, chefs, and chakra studies later I find myself as Creator and Chief ChakWaver of ChakWave Chakra Tonics. Why is it important for us to pay attention to our electromagnetic body? We are far from being only skin and bone, and knowing this is an incredibly powerful first step towards leading a life of exploration, enjoyment, and flow. The electromagnetic body is a subtle vibrational field that is interconnected with our physical self. Kirlian photography is a technique used to view the etheric plane that surrounds beings. To most eyes this is an invisible realm, but we know its presence in moments of tuned intuition, telepathy, acupuncture, prayer, or meditation. Our chakras are vortices of constantly moving energy, and they are often visualized as spinning wheels of light forming a ladder from the base of the spine to the top of the head. Their spiraling energy corresponds with glands in the endocrine system, organs in the body, and physical, mental, emotional, and spiritual aspects of ourselves. The chakras harness energy from the earth and heavens, conducting life force energy throughout the body. When did you decide to incorporate the chakra credo into juicing? It all began with the chakras. I went through a myriad of ideas for all things chakra…lamps, candies, sorbet, lotions…and landed upon juices as my first focus. There are many elements capable of balancing the chakras–color, food, herbs, spices—and a magical potion seemed like the perfect answer! My main impetus was how I could spread the word about energy. The delicious, nutritious, low calorie elixir that was eventually born after many thrills and spills in the kitchen was the vehicle for the reminder. Describe each chakra juice and a few ingredients that are in it? It is of utmost importance to me for each ChakWave product to be organic. High quality ingredients are sourced to make the Chakra Tonics, and they are served up in reusable or recyclable glass jars so there is never any leaching of chemicals from plastic. Also, chia seeds are in each beverage, adding a fun texture and burst of energy. Let’s begin at the base with Root Chakra Tonic. The chakra is located at the base of the spine and promotes grounding, security, prosperity, and trust. The tonic gets its deep red color by the earthy immune system boosting combinations of rooibos, pomegranate, elderberry, ashwagandha, beet, and dandelion root. The Sacral chakra is located in the lower abdomen, is represented by the color orange, and promotes creativity, emotions, sexuality, and pleasure. ChakWave Sacral Chakra Tonic is a smooth mango and carrot mixture spiked with healing cinnamon, noni, and goji to enliven the sensual self and invite you to play! The yellow Solar Plexus chakra is located at the naval and promotes willpower, courage, growth, and self-esteem. Solar Plexus Chakra Tonic helps to ignite the proverbial “fire in the belly” and supports digestion with white tea, pineapple, passionfruit, ginger, amalaki, and lemon verbena. The Heart Chakra Tonic’s green tea, pear, spirulina, hibiscus, and reishi mushroom stem extractives aid in heart health. The green heart chakra is located in the chest and promotes love, compassion, acceptance, and balance. expression, individuality, and truth. Blueberry, apple, chamomile flower, tulsi, lemongrass, and nettle round out this throat soothing elixir. Black tea, acai, blackberry leaves, elautherococcus senticosus root extract, and ginkgo biloba leaf hone in on the indigo Third Eye chakra located at the forehead. The Third Eye Chakra Tonic promotes intuition, imagination, dreams, and vision. Last but certainly not least is the violet Crown chakra located at the top of the head and promoting consciousness, bliss, wisdom, and awareness. White tea, raspberry, yumberry, purple carrot, gotu kola, valerian, and skullcap support blood flow to the brain for optimal meditation time. How did you choose the ingredients to correlate with the chakras? Years of research, intuition, experimentation, trial and error, launching and learning! The Chakra Tonics are made with organic fruits, vegetables, herbs, spices, and teas corresponding to one of the chakra energy points as well as the area in the physical body where the chakra resides. For example, dandelion root and beetroot are present in the Root Chakra Tonic. These are literally of the earth and therefore grounding. The Root Chakra is all about things relating to our experience in the world and keeping our physical bodies healthy so the immune system boosting herbs of ashwagandha, elderberry, echinacea, and reishi mushrooms are in alignment with this focus. Why is a juice cleanse helpful to the system? Your body appreciates a break once in a while. Cleansing the body to rid oneself of excess waste and disease via resting from foods for a period of time and drinking fruit and vegetable juices plus tea and plenty of water is ideal. We can look at cleansing our bodies in the same way as we look at maintaining our cars. If we never check, clean or replace clogged tubes, and continue to drive them, they often break down. How has the chakra knowledge benefited your own life? I feel more…physically, emotionally, sensually, and spiritually. The journey towards creating ChakWave has been a personal journey for myself of examining my strengths and weaknesses, addressing frictions and stepping into my truth. Because I chose to follow my bliss of making ChakWave Chakra Tonics, I believe it opened up space in all areas in my life welcoming in loving relationships, artistic creativity, and more understanding. In the course of raising ChakWave from infant to child, my spiritual self has expanded and business mind matured. I am constantly grateful to see what was once an idea take physical form. Do you have any stories about how paying attention to the chakras through juices have changed anyone’s life health situation or any personal anecdotes. When I first began making the tonics, thirsty ChakWavers showed up on my doorstep to pick up their fix. Lives were changed, and I do not say that flippantly. Hearing the tales of the mundane jobs quit, relationships evolving, willpower tested, bodies awakening, and spirituality growing was and still is miraculous. One woman’s hormonal cycle was erratic, and ChakWave helped her get back to health. Those seeking rooting or third eye opening have consumed the tonics mindfully and I believe are better for it. People experiencing heartbreak have sipped day’s worth of green Heart Chakra Tonic to soothe their souls. Where can we find these juices? ChakWave is available in select stores in Los Angeles. Join in the chakralicious conversation with us online at our website, Facebook, Twitter, and tune into the health and wellness ChakTalk videos on YouTube!